Stuart Williams scoring a try for Wales against Ireland last year. This year’s tournament date has been pencilled in for Saturday 27th April at a venue to be confirmed. The opening trials and training sessions for Wales will be on Sunday 10th March at Hereford Leisure Centre, whilst the second will be at Darland Sports Hall in Wrexham on Sunday 31st March. Both are from 1pm until 4pm. Wales’ victorious team last year. Head coach Steve Jones has pointed out to his side from last year that no-one’s place is guaranteed so it is important that anyone who wants to be considered for a place in the side attends both sessions. 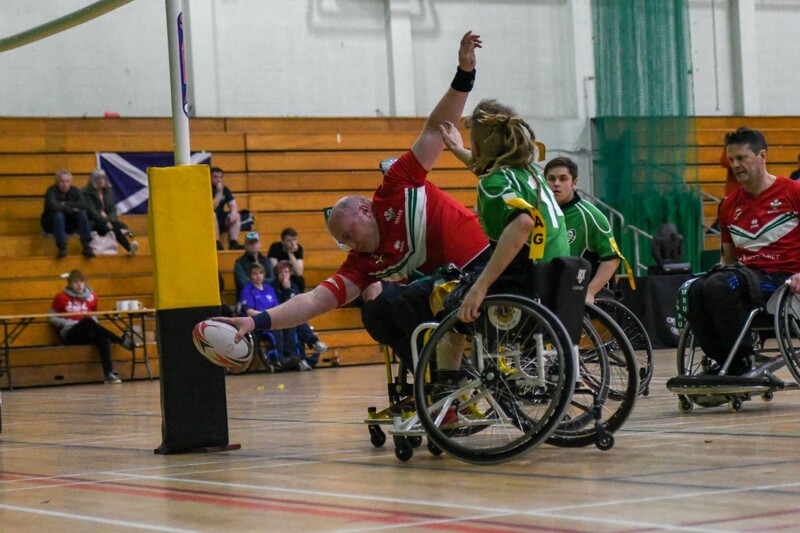 To qualify to play for the Wales Wheelchair side, players must fall in to one or more of these categories – be Welsh born, have a Welsh parent or grandparent, or be a resident of Wales for five or more years.